Build it yourself - The links, listed below in the "Helpful Links" section, are not part of myCarpentry.com, but you might find the information in them useful as you are building your own carpentry and woodworking projects. www.finishcarpentryhelp.com - This site is great! Lots of free expert finish carpentry information, and step by step instructions for all aspects of trim carpentry. This site also provides descriptions and recommendations for the best tools to use for each individual project. Table Saw Guide - Table saw reviews, accessories, tips and techniques. 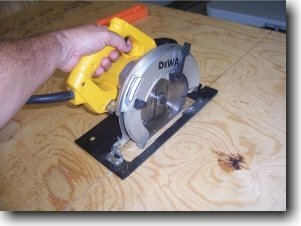 We offer step by step how-to articles on building jigs and other useful accessories for your table saw as well as table saw and woodworking tool reviews. Fine Woodworking For Your Home - Period exterior and interior trim & woodwork, Victorian gable end design and build, architectural history and glossary. WoodWorkingSiteOnline.com - Woodworking plans, projects, books, original articles, current news, woodworking links, and more for all woodworkers. Woodworking plans for action table games - Build your own table hockey, pin-ball baseball, carrom, crokinole, skittles and other vintage game boards.